Vendors, looking for a unique event to add to your fall schedules? A three day event, held the weekend before Thanksgiving, Civil War Weekend provides guests with a 19th century immersion experience. Re-enactors and living historians from throughout the United States attend the annual event and thousands of spectators attend each day to get a first hand look at life in the 1860’s! Vendor spaces are available in specific areas for Arts, Crafts, Antiques, Food, etc. Our modern vendor area is for crafts, souvenirs, books, gifts and much more! This area is set up directly across from the food court and before entering the immersion area of the event. 15X15 spaces, both with or without electricity are available. If you don’t know what a sutler is then you probably aren’t one. For the true Sutlers out there, Liendo draws many reenactors every year and makes an ideal place to set up shop and sell reenacting gear and souvenirs. Our Sutler spaces have flexible sizing but pre-registration is necessary for proper space planning. 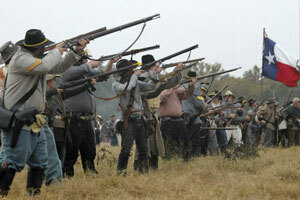 Civil War Weekend will provide space only. Exhibitors/Vendors are required to provide their own tents, displays, tables, chairs, etc… Rental of a booth space is per weekend and cost will vary depending on size and requested amenities. Electricity and water access are available, but limited, so early application is important for vendors who require these amenities. It is encouraged, but not mandatory, for modern vendors to dress in period Civil War attire and carry the period theme in their booth space (it is fun!). All Sutlers must maintain a period correct appearance throughout the event. Digital and printable vendor applications available now for Civil War Weekend 2019! Become a Vendor, Exhibitor, Sutler or Demonstrator at Liendo!